Featuring the new MIDI Learn Mode, Ignite 1.4.1 lets you write, record, and produce music with your favorite keyboard controller. Ignite includes over 275 instruments, many of which are taken from our renowned instrument collections - including Strike, Structure, and Velvet. All sounds have been optimized to load quickly, and the editing controls are automatically mapped to your Ignite supported keyboard. These extraordinary sounds include keyboards, drums, percussion, basses, guitars, synths, strings, brass, and woodwinds. 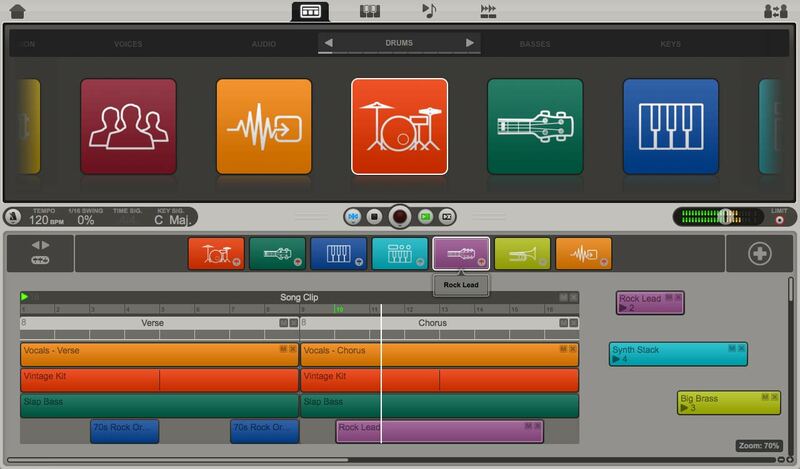 In addition to hundreds of onboard instruments and extensive MIDI control, Ignite supports two tracks of simultaneous audio recording, such as guitar and voice, a stereo workstation, bass and guitar, etc. Effects can be added to any audio track, and time stretching--powered by Radius from iZotope--is also provided. 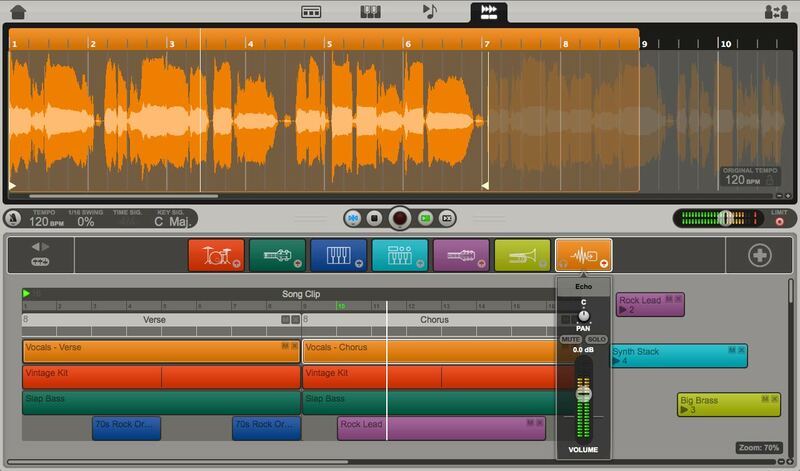 Ignite features Smart MIDI technology to help jump-start your ideas and enhance your music-making skills. The Chord Player generates a chord pattern from a single key, while the Phrase Player can provide a single-voice line to add to your composition. Both the Chord and Phrase player include dozens of patterns in modern music genres - these aren't canned, boring MIDI patterns. Tailor the performance of these Players by adjusting feel, speed and intensity. The Flexible arpeggiator plays held notes individually, either as a musical flourish or in a rhythmic pattern. Simply connect any Ignite supported keyboard or controller to your computer, and Ignite provides seamless integration. The keyboard is automatically detected and controls are automatically mapped when connected to your computer. Swapping keyboards? The controls are automatically updated and mapped. Open the SPECS tab for an up-to-date list of Ignite supported keyboards. Share your latest creation with friends, fans, and family - or collaborate with other musicians - by taking advantage of direct uploads to SoundCloud. Plus, you can export your individual audio (WAV) and MIDI files, which can then be imported into any computer-based recording software - including Pro Tools. Capture your ideas quickly and make music - without getting bogged down with technical jargon and complicated steps. Record vocals, guitar or any audio input source. Ignite supports stereo audio recording and playback using ASIO, Core Audio and WASAPI audio interfaces. Individual musical ideas are captured as phrases and are placed in the Arranger. 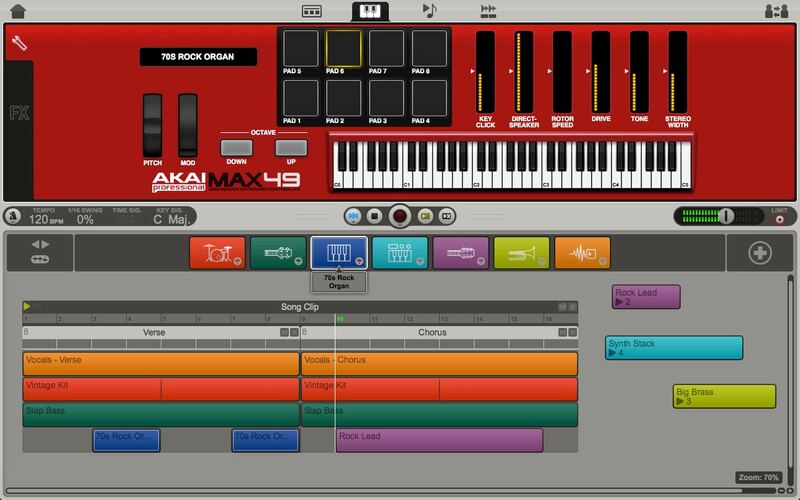 The Arranger is an organic "stage" where you can organize your music ideas and phrases in whatever way make sense to you. Clips can be any length, and don't have to be aligned into a pre-determined structure (such as tracks and lanes). Multiple Clips can be played back together, or even grouped to create more complex phrases and song sections. Clips and Multi-Clips can be quickly duplicated in the Arranger using a few simple commands, making it easier to experiment and audition new ideas. 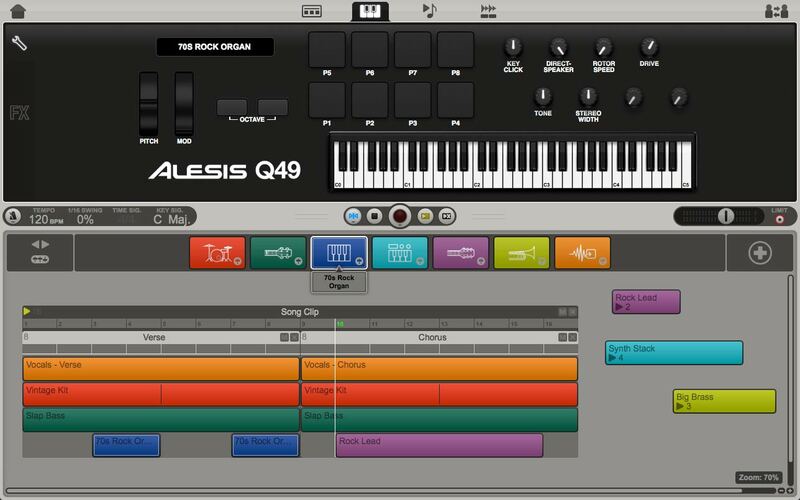 Ignite will instantly recognize any Ignite-supported keyboard controller from Alesis, AKAI Professional, or M-Audio once it is connected to your computer. Key parameters will be automatically assigned, or mapped, to the front panel controllers. The on-screen image labels the controllers with their current parameters, providing visual reminders. Included with Ignite are over 275 remarkable instrument sounds developed by AIR Music Technology. This international team also created the acclaimed Hybrid, Strike, Transfer, Structure, and Velvet instruments for Pro Tools - the industry-standard professional music and audio workstation. Instruments include keyboards, drums, percussion, basses, guitars, synths, strings, brass, and woodwinds. Smart MIDI technology provides both a Chord Player and a Phrase Player. The Chord Player plays a chord pattern using either simple or advanced voicings. The Phrase Player can be used to deliver a single-voice melodic phrase, or even a drum pattern depending on the instrument selected. The arpeggiator plays notes individually, either as a musical flourish or in a rhythmic pattern. Five included audio effects; reverb, compression, delay, EQ and distortion. Share your musical ideas and songs with other musicians through SoundCloud. Export WAV and MIDI files, and import them into any DAW recording software - including Pro Tools. *EIE Pro requires new MacOS driver for Ignite support. This driver only supports MacOS 10.9. *MTrack Quad requires new MacOS driver for Ignite support. This driver only supports MacOS 10.9. What products ship with the Ignite software? Where can I download Ignite? Can Ignite be purchased separately? Ignite cannot be purchased separately. It is included, for free, with many products. For a complete list of products that include Ignite, click here. Are there more instruments / sounds available for use with Ignite? There are over 275 included instruments with the original release of AIR's Ignite software. As of the release, these are all the available instruments. How do I update Ignite? When updates to the Ignite software are released, the user will be prompted upon opening the software that an update is available. If you would like to manually check to determine if there is an update available, choose Help > Check for Updates and in the window that appears, it will say if you have the latest update or if there are available updates. This window also contains the option to toggle Automatically check for updates as well as the ability to click an option to begin a download of the latest update if one is available. Ignite won't install on my computer. Is something wrong? Ignite can ONLY be installed on the operating systems it is supported with - that is, Windows 8, Windows 7 Service Pack 1 Home Premium, Professional or Ultimate, Mac OSX 10.8, Mac OSX 10.7.5. The installation file does not allow for installation on any other operating systems. What file types are compatible with Ignite? Ignite allows for outside WAV files to import into the program. At the time of release, Ignite does not support AIFF file import. At the time of release, Ignite cannot import MIDI files. 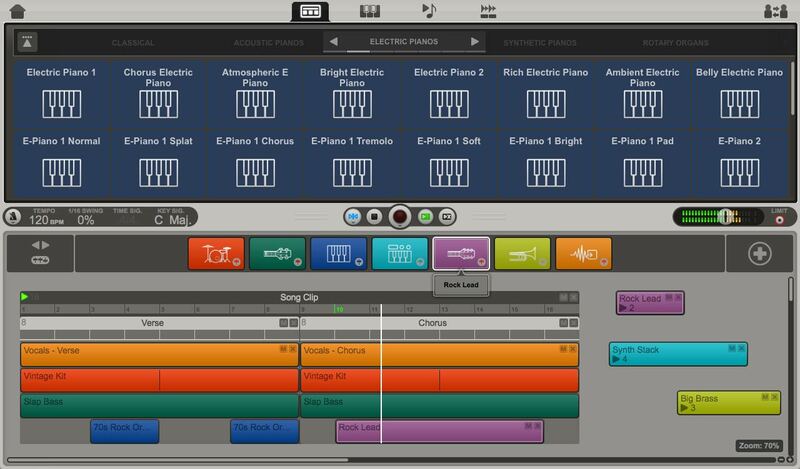 Ignite comes with hundreds of MIDI patterns natively built in. What kind of files types can Ignite export? Share your Session file with a friend via email. Export an audio WAV file of your music. Export your music as a MIDI file to use with another DAW. Directly share your music on SoundCloud and via this platform also on Facebook, Twitter, Tumblr and other social network platforms. If you choose to Export to DAW, Ignite will render all clips out as individual WAV files per instrument. When Exporting to DAW, the user chooses a location and Ignite creates a folder which all the exported files will be saved to. If there is a break in the instruments playback, Ignite will create silence so that the instrument is one, long, contiguous file. Ignite will also create a text file with information on the settings of the individual instrument tracks, such as if there was panning, etc. Does Ignite support VST, AU plug-ins? Ignite does not support VST or AU plug-ins. Can Ignite be used as a plugin in a different DAW? Ignite cannot be run as a plugin in any other DAW. Do I have to have a MIDI controller connected to my computer to use Ignite? No. But we highly recommend it as you will be limited in your ability to be creative without one. How many instruments can I load into one project? As many as your computer can handle. You will notice as you add more and get to the point where you are pushing your computer to the maximum of its ability that it will take longer to load up a new instance of an instrument. Eventually, when your computer processor and RAM have reached its max, the Add Instrument button will turn red and you will no longer be able to add any more instruments. I want to play with the Players but all the options are greyed out. Why? In the Play Tab, each instrument defaults the Players option to Off. 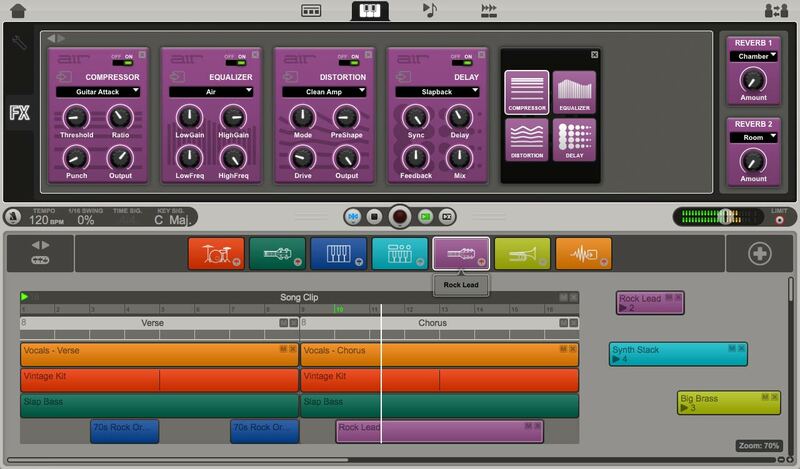 The user will have to manually toggle the Players option of the instrument of choice to the On position before being able to hear and edit the phrasing, chords, and arpeggiator. How do I shorten/adjust the begining and end points of a MIDI clip? In the Edit view, scroll your mouse over the right side of the MIDI clip in the upper half of the Ignite program. The mouse arrow will change to a ] and you will then be able to adjust the length ot the MIDI clip. As of the release of the Ignite software, a MIDI clip can only be adjusted from the end (right side) of the clip and not from the begining (left side). How many effects can I use on an instrument? Ignite allows for up to 6 effects plus 2 reverbs an any single instrument simultaneously. Where can I get more effects? There 6 included effects with the original release of AIR's Ignite software; EQ, Compression, Delay, Distortion and Reverb. At the time of the release, these are all the available effects. Can I change the order of the effects on my instrument? The order of effects depends upon the order that the user added the effects. Once added, the order of the effects cannot be changed. Can I bypass an effect? There is no Global Bypass of all effects. You can turn down the Amount on most effects and you can turn the individual effects on/off. There is no 'power off' button on my reverbs? Why not? How do I turn them off? To turn off the reverb, simply turn the specified reverb effect all the way down. How many channels of audio can Ignite record simultaneously? Ignite allows for two simultaneous channels of audio recording - Left and Right. Upon recording, the two channels will be organized and saved into a single clip in the Arrangement view. Why can't I change the buffer size? The ability to change the buffer size depends entirely upon your selected sound card or audio interface. If your audio interface allows for the changing of buffer sizes, you will find the option to do so in the Preferences > Audio Setup menu in the bottom right corner. If this option does not show, you will need to change your choice of audio interface in order to adjust any buffer size. How do I split an audio clip? As of the first release of Ignite, audio clips can only be adjusted from the beginning or the end of the clip and cannot be split. My tutorial videos will not play. Why? The included tutorial videos are streaming videos meaning that they are located online and streaming through the Ignite software. In order to view these videos, you will need an active internet connection. Are any of the User Guides available in languages other than English? As of the first release of Ignite, all documentation is available in English only. 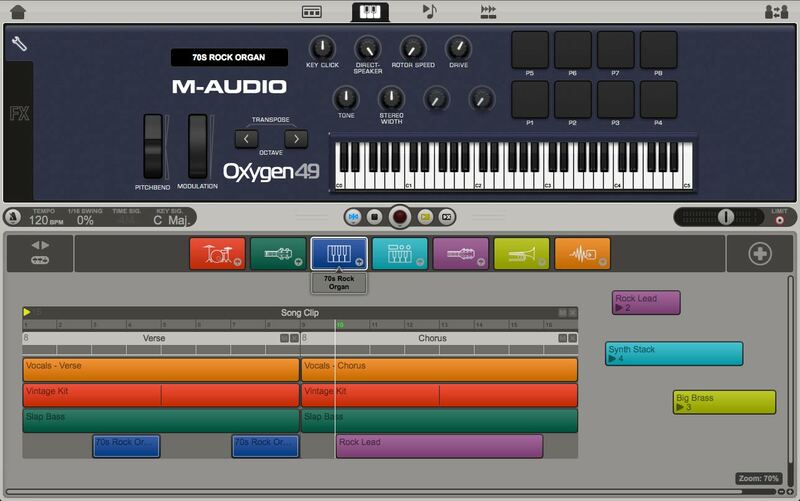 I have an M-Audio Oxygen MIDI controller. Why are the knobs not working / controlling Ignite? If you have an M-Audio Oxygen controller and it is not controlling the software, change your preset to preset 10. This should allow you to control the software with the Oxygen's knobs and controls. While all current M-Audio keyboards are supported, please note that the original silver Oxygen keyboard controller is not supported as an auto-mapped device in Ignite. My Axiom AIR Mini 32 is not controling the Ignite program. Why not? When the Axiom AIR Mini 32 is connected to the computer and detected by the Ignite software, the controller defaults to the Volume Hypercontrol mode. This needs to be set to Inst/FX. To change to the Hypercontrol mode on the Axiom AIR Mini 32 controller, press the Hypercontrol button until the Inst/FX option is lit. For further information on this function and to see this in action, please check out this video. Why aren't my transport controls working on my Axion Pro 49? On the M-Audio Axiom 49, press the Edit button. On the screen that appears, pressing the 0 button toggles the Hypercontrol between the Normal setting and the Transport setting. Ensure it set to Transport and then choose Exit. 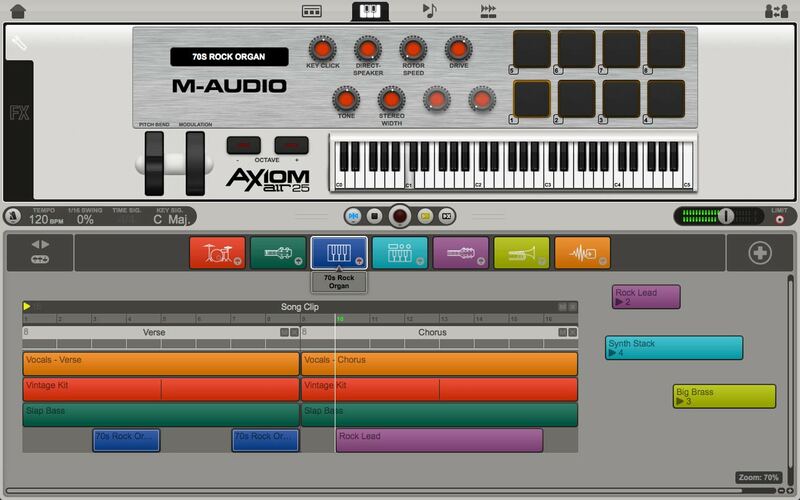 Now you should be able to control the transport functions from your Axiom Pro 49. Can I Hot Swap controllers? Yes! Ignite is very good at reading what controller you have connected and will recognize and adjust accordingly when controllers are switched without the need to re-start the program. In the same fashion, your controller does not need to be connected prior to opening the Ignite software. Only current generation M-Audio keyboards have this functionality with Ignite. There is no automation or the ability to record automation in Ignite v1.0. Changing the Octave buttons in Ignite does not change the sound when I press the keys on my controller. Why? The octave button on the screen inside Ignite software controls which keys on the on-screen keyboard are displayed. It affects the screen display only and does not alter played note values. To change the octave, use the octave up or down button on your attached keyboard controller. My M-Audio Axiom AIR keyboard displays an error on its screen when I launch Ignite. What should I do? I’d like to store or share my song in a different audio file format. How can I do this? If you’re creating, storing, or listening to music on your computer, you’ll likely be using a librarian or player software. These applications also usually allow for easy file format conversion.